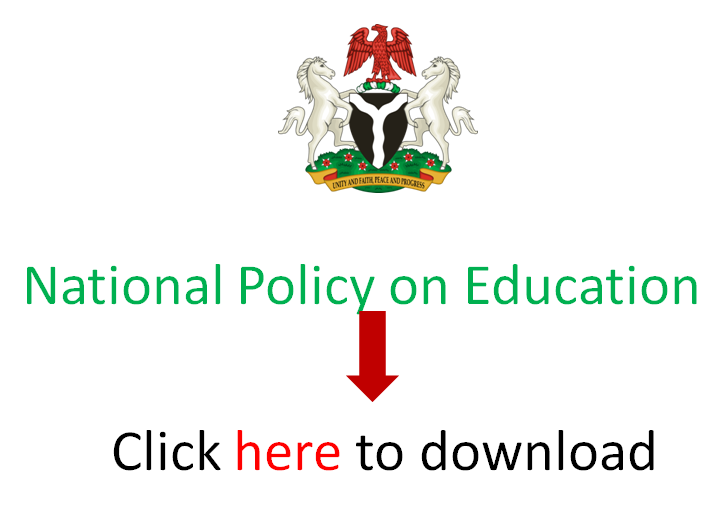 In this post, EduCeleb.com presents you actions that constitute examination malpractices as stated in extant rules and regulations of the West African Examinations Council (WAEC). This also includes the consequences of such actions regarded as irregularities. (a) Where a candidate commits an offence such as bringing into the Examination Hall notes, textbooks, prepared materials or any other printed materials, the candidate’s results in the examination shall be withheld pending cancellation of the subject result by the appropriate Committee of Council. (b) Where a candidate commits an offence such as bringing into the Examination Hall without prior authorisation, a blank piece of paper or any other material not covered under (1) (a) above which is intended to give the candidate undue advantage, the result of the candidate in the subject involved shall be cancelled. (c) Where a candidate brings into an Examination Hall a programmable calculator, a mobile phone or any other electronic communication device, to gain unfair advantage, the results of the candidate in the subject involved shall be cancelled. Candidates with hearing disability may with the permission of the Supervisor, be allowed to bring hearing aid into the Examination Hall. (a) Where a candidate is apprehended for offence(s) such as those listed below inside or outside the examination hall, the candidate’s result in the entire examination shall be withheld pending cancellation of the entire results by the appropriate Committee of Council. (i) Stealing, converting or misappropriating the scripts of other candidates. (ii) Substituting worked scripts during or after the examination. (iii) Seeking or receiving help from non-candidates such as Invigilators, Supervisors, Teachers or other personalities during the examination. (b) Where the person giving help is not a candidate for the current examination but a prospective candidate, he/she shall be barred from taking any examination conducted by the Council for one year and will also be reported to the appropriate authority for disciplinary action. In addition to the above action, the candidate’s entire results shall be cancelled. (c) Where a candidate is apprehended for offence(s) such as those listed below inside or outside the examination hall, the candidate’s result in the subject(s) involved shall be withheld pending cancellation of the subject result by the appropriate Committee of Council. (i) Tearing part of the question paper or answer booklet during the examination. (ii) Refusing to submit worked scripts to the Supervisor after the examination. (iii) Other irregular activities within the immediate precincts of the examination hall before, during or after the examination. (iv) Where a candidate starts writing an examination before commencement of work is officially announced OR continues writing after official orders have been given for candidates to stop work. (a) Where a candidate is caught during the examination passing notes for help from other candidates, receiving or giving assistance, talking with or colluding in a manner with another candidate, the candidate’s entire results shall be withheld pending the cancellation of the result of the subject involved by the appropriate Committee of Council. (b) Where cases of cheating are detected in scripts and/or otherwise established in one paper, the result of the subject involved shall be cancelled. Where a candidate is proved to have cheated in more than one paper/subject, his results in those subjects shall be cancelled. Where a person is caught impersonating a candidate, he/she shall be handed over to the police for prosecution. The entire results of the person being impersonated and those of the impersonator, if he/she is also a candidate for any WAEC examination, shall be withheld pending cancellation by the appropriate Committee of Council. Both the impersonator and the impersonated shall be barred from taking any examination conducted by the Council for a period of not less than two years. The Council reserves the right to publish the names of persons so barred. (a) Where cases of leakage are established in a centre/subject, the entire results of the candidates offering the subject(s) at the centre shall be withheld pending the cancellation of the subject results for the centre by the appropriate Committee of Council. The results of any candidates who are found innocent by the Council shall be released. (b) Candidates proved to have been involved in the leakage of any subject in which leakage has been established shall have their entire results withheld pending cancellation of the entire results by the appropriate Committee of Council. c) Where it is established that the school authorities condoned, connived at, and/or encouraged the leakage, the entire results of the candidates at the centre shall be withheld pending cancellation of the entire results by the appropriate committee of Council. (d) Where any listed cases in 5(a), 5(b), 5(c) above is established, the school shall be de-recognised in accordance with rule 6 below. (a) Where more than half of the candidates in the centre/Subject are involved in collusion or other forms of examination malpractice, this shall be regarded as mass cheating. (b) Where there are established cases of mass cheating in a centre/subject, the entire results of the centre shall be withheld pending cancellation of the subject results for those confirmed to have cheated. Ministry of Education or the appropriate Board for disciplinary action to be taken against the person(s) responsible and the School shall be de-recognised for a period not less than one year. (ii) In the case of public centres, the Council shall take appropriate action. (i) Mass cheating is established in more than one paper/subject. (ii) The appropriate Committee of Council is satisfied that the school cannot ensure the satisfactory conduct of the Council’s examination. (i) the School authority can no longer organise or manage the school as a school centre, although the Council or its agent may use the physical facilities of the school for the purpose of the examinations. (ii) the School may be allowed to present its students as School Candidates, but the conduct of the whole examination (Practical and Theory) shall be the responsibility of Council. The School concerned shall pay prescribed fees as extra for the supervision and invigilation of the examination before the examination begins. Notwithstanding (6) (e) above, recognition may be restored upon a written assurance from the administering authority of the school that the necessary requirement has been satisfied. Such assurance shall contain details of measures being taken to ensure the satisfactory conduct of the examination, including measures which shall be subject to acceptance by the Council. Recognition, however, will only be restored after at least one year of de-recognition. (a) Where a candidate insults or assaults a Supervisor/Invigilator in the lawful performance of his duties inside or outside the examination hall, or in any other way disturbs the conduct of the examination the entire results of the candidate shall be withheld pending cancellation of the entire results by the appropriate Committee of Council. The candidate may be handed over to the police for prosecution. In addition, he/she shall be barred from taking any examination conducted by the Council for a period not less than two years. appropriate Committee of Council. In addition the candidate shall be barred for a period of not less than two (2) years. (c) Contravention of (b) shall not preclude legal action being taken against the candidate by the Council or Individual concerned. (a) Where a candidate, in contravention of the instructions to candidates, writes with pencil instead of ink or shades with ink instead of pencil, his/her results shall be withheld pending cancellation of his/her subject result by the appropriate Committee of Council. (b) Where a candidate fails to complete the cover page of his/her answer booklet as specified in the instructions, his/her result shall be withheld pending cancellation of his/her subject result by the appropriate Committee of Council. As new cases arise which are not covered by the above rules, the appropriate Committee of Council shall take necessary action. 10. These rules shall be subject to review as and when necessary. Please, what if any part of the answer booklet was torn by mistake maybe by erasing or by any other unknown activity, will it still be seen as an examination malpractice? Erasing anything doesn’t amount to exam malpractices neither does mistakenly tearing the booklet when the torn portion isn’t detached.